CFA Institute - Is a global organization committed to the development of industry professionals by creating the chartered program which requires candidates to demonstrate skills in portfolio management, asset valuation, statistics, economics, financial analysis, fixed income analysis and ethical standards. CFA is Chartered Financial Analyst. Fidelity Investments: There is no form of legal partnership, agency affiliation, or similar relationship between RAM and Fidelity Investments, nor is such a relationship created or implied by the information herein. 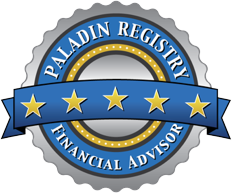 Fidelity is a third party service provider to Royal Asset Managers, LLC where it offers brokerage services and custody services for client accounts. Fidelity makes available certain research information and other areas of specialization that serve as a good resource for RAM.